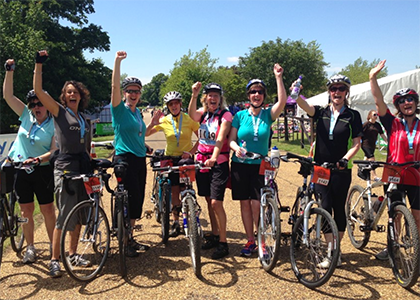 Since we announced that we’ve teamed up with Macmillan Cycletta – the UK’s leading series of women-only bike rides. 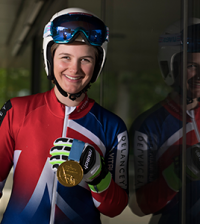 We’ve been posting lots of training advice and tips to help you get to the start-line with confidence. This week we talk about what to wear and how to layer. 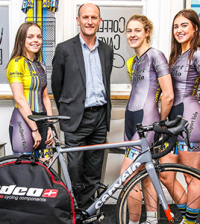 First, lets get something straight – you don’t need to wear head to toe skin-tight lycra (unless you want to). 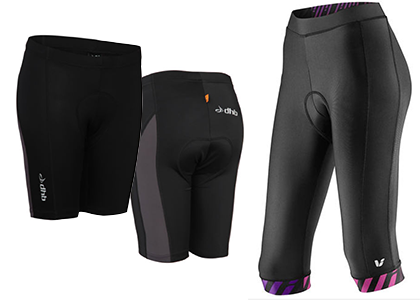 There are many choices in cycle gear now and to be honest, aside from something to protect your rear end you don’t even need to wear specific cycling gear if you don’t want to. 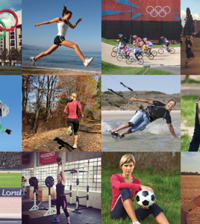 Performance fabrics are practical though, but a running or gym gear will do the job fine. On a bike you definitely feel the cold more than if you are, say, running, so don’t get caught out and dress the same. You’ll be moving faster and your upper body will be largely static, so combined with a wind chill factor, this means you need to layer-up to prevent getting cold. Layering works better than just putting one heavier top on because as soon as you start working harder and warm up you’ll want to start to strip off. However you might find that you later need to layer back on if the weather changes or you are working less hard (e.g. uphill versus freewheeling downhill). Base layer top, ideally in a performance fabric. We favour long sleeves as they will prevent sunburn too (and a t-shirt tan line!). This does not need to be skin tight, but equally if it’s too loose and flappy you can get cold. If you don’t want a tight look, layer a looser top over a fitted base layer to prevent drafts. Lightweight water resistant jacket that can be packed away and stuffed in a pocket. The difference between a waterproof jacket and water resistant one generally comes down to whether the seams are sealed (the fabric may be waterproof, but unless the seams are sealed then water can get through) and waterproof jackets are generally more expensive. Shorts or leggings with an element of stretch in the fabric. If you are doing the shorter distances at Cycletta and you’ve practiced a fair bit on your bike, you may be able to get away with your gym leggings. Alternatively invest in some cycle specific shorts. Cycling knickers with a light pad to protect your rear! The ultimate layering item – these can be used with your regular gym gear or casual clothes. You could even combine with a loose skirt ( Best to avoid anything over knee length) or skort. 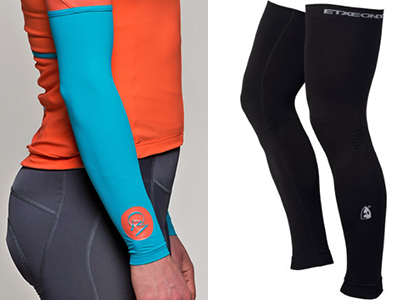 Arm or leg warmers might seem like they are designed for the pro’s but actually they are a great addition to anyones cycling wardrobe. Basically they are just the sleeves or legs, so that when worn with a t-shirt or shorts you can transform to a long version. Generally riders start with them on and then take them off and tuck them in a pocket when they warm up – the advantage being that they are really small to store! 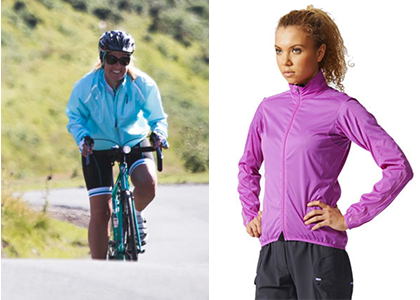 Softshell top when the weather starts to get cooler you’ll need a heavier jacket as your top layer. A softshell generally has an element of stretch in the fabric for comfort, is water and windresistant, but not heavyweight like a hiking jacket. 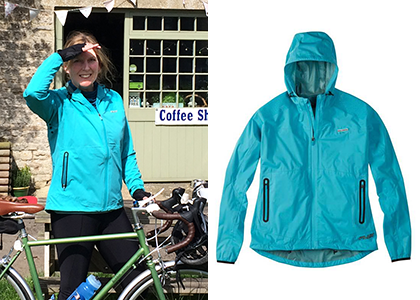 We’ve been testing this one by Madison (below) and it gets gets top-marks for performance, comfort and price point. Finally – remember, it’s best to have too many layers than too few when you set off. You can take layers off if you get too hot, but if you’re under-dressed and cold there’s nothing you can do and it will be miserable! 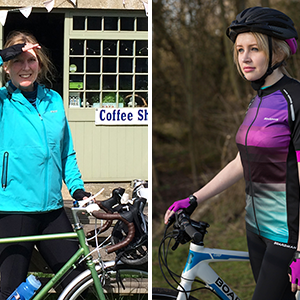 More kit advice: Padded cycling gear – do I really need it and what are the options?